Sounds like a great event...wish I lived closer! Hi Li: It will be a great time for sure. I always look forward to Arts in the Park. Wish you could join us. Thank you for your comment. Hi, Donna. Sounds like a great event. We just had a Fine Arts Fair in Belleville, a city next door, last weekend. I hope you have pleasant weather for it. Yolanda: This is one of the reasons I love living in a small mountain town. 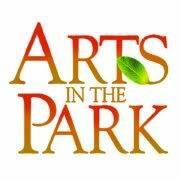 We have so many festivals year round and Arts in the Park is really popular. Wayne: If you google Arts in the Park, Blue Ridge Georgia - you will find more information and who you should contact. Yolanda: Warner Robbins is several hours away. Not sure just how far but Warner Robbins is in South Georgia and of course, I'm in the highest part of North Georgia. I didn't google it but you can check it that way too. Today is Facebook Friday and I am unable to find your facebook page. What is your url? Linda: Probably an hour's drive is my guess. I think you will find me this way on FB: http://facebook.com/agentdonna and I have a business page North Georgia Blue Ridge Mountains Real Estate. Thank you for asking and I hope your family gets to come for a visit this weekend. The weather is supposed to nice once we get these thunderstorms out of the way tonight and tomorrow. BTW: We are expecting at least 15,000 people to visit downtown Blue Ridge Arts in the Park. It is really becoming a huge festival and they will actually have another one in the Fall this year.